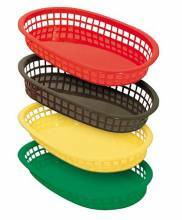 Go back to basics with our selection of plastic and polyweave baskets. 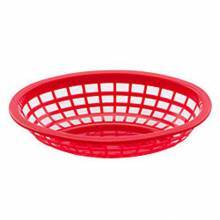 Whether a bread basket for each table, or a basket of fries to share, a basket is a great way to serve food by also going back to basics! Whether for your casual dining restaurant, café, cafeteria or upscale restaurant, you can never go wrong with a bread basket! 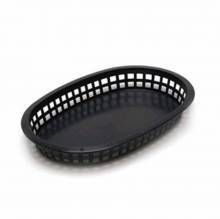 Use round baskets in place of paper plates at your burger or fast food joint, to limit the amount of waste, and to keep cleaning up easy! 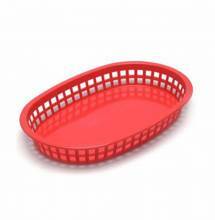 Glass serving and display ware available for various atmospheres and type of food establishment. Food out for display at your café, grocery store or bakery? Use a round dome cover to keep your samples sanitary and fresh! Melamine and china dinnerware available if your establishment needs something sturdier!